Opportunity knocks! Don't wait for more photos...come check out this home Sunday June 25th, 1st showings, at the Open House 12:30 - 2pm. Well-cared for full dormer cape in excellent Riverdale neighborhood! 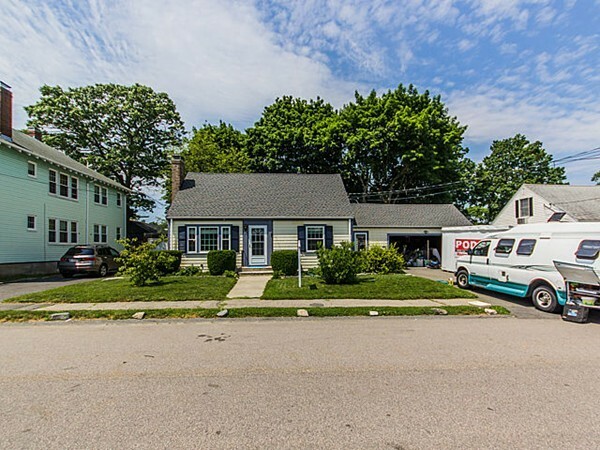 This 3 bed, 2 full bath home features hardwood floors, formal dining room with built-in cabinets open to updated eat in kitchen, and a living room with wood burning fireplace. The layout features one bedroom on the 1st level and 2 generous size bedrooms on the 2nd level. There is a full bath on both the 1st and 2nd floor. Kitchen area is open to nice size breezeway which offers direct entry into the garage. A slider steps out to the new patio and nice-sized level, fenced back yard. Grab some cold drinks, spark up the grill and invite your family and friends over. Newer high efficiency furnace. Newer roof and windows within the last few years. Spacious attached 2 car garage is a game-changer. More photos to follow after Open House, but if you wait you might miss out.